Order within the next... 14 hours, 8 minutes, 41 seconds ...for dispatch today! Ideal for a 19" (48 mm) board. 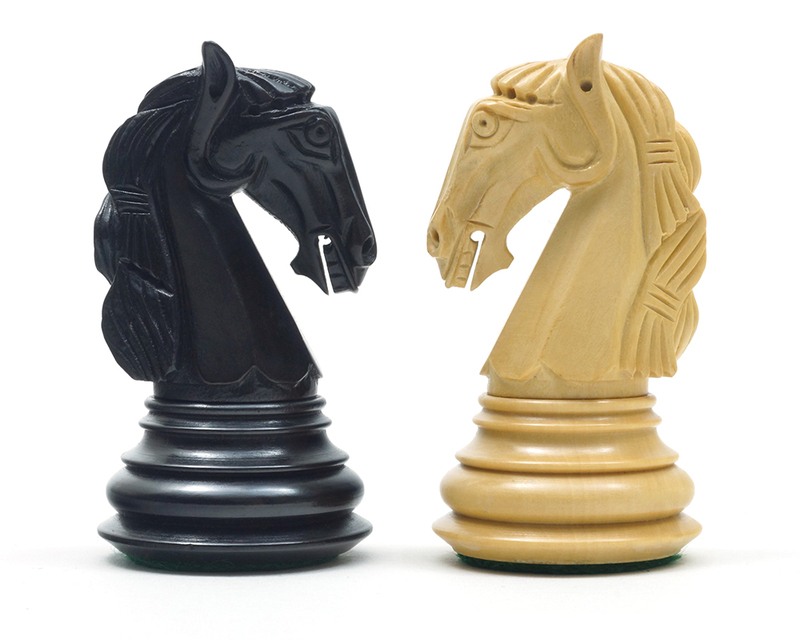 With such iconoclastic chess pieces it is strange to first talk about value for money, but when such brilliantly made chessmen are available for a little over £100 the issue becomes unavoidable. These weighty ornaments offer customers the chance to purchase something that will last a lifetime. 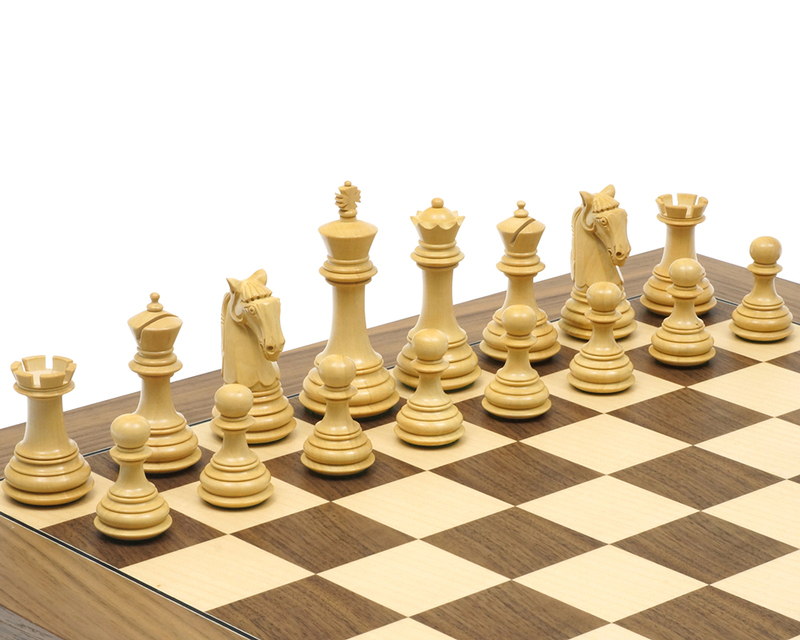 As well as their lasting material value, the Gambit Chessmen have been hand carved into the classic Staunton Shape, which dates back to the end of the 19th century. 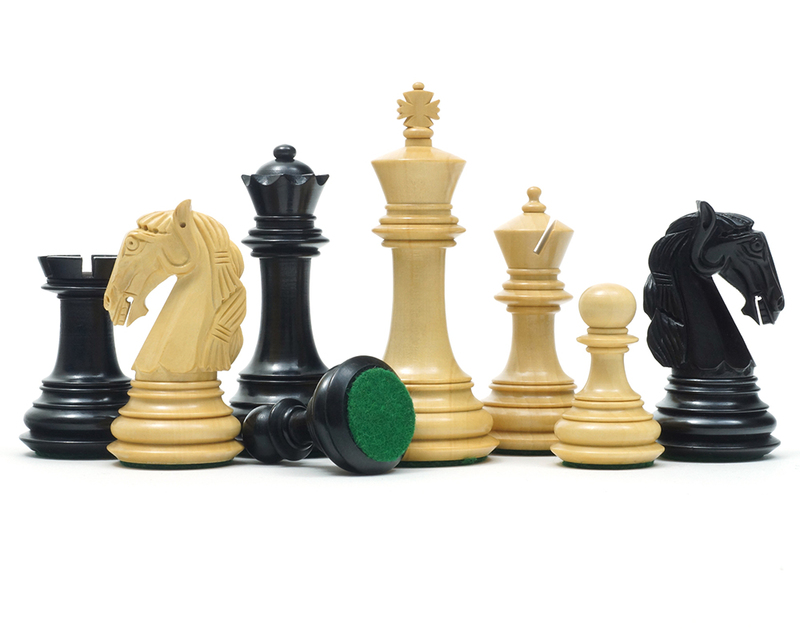 This ensures that the king and his army are instantly recognisable to players of all levels, despite the creative licence allowed with certain pieces. The bishop, particularly, is of a distinctive, precisely cut shape that gives the usually regal ornament a more robust character. 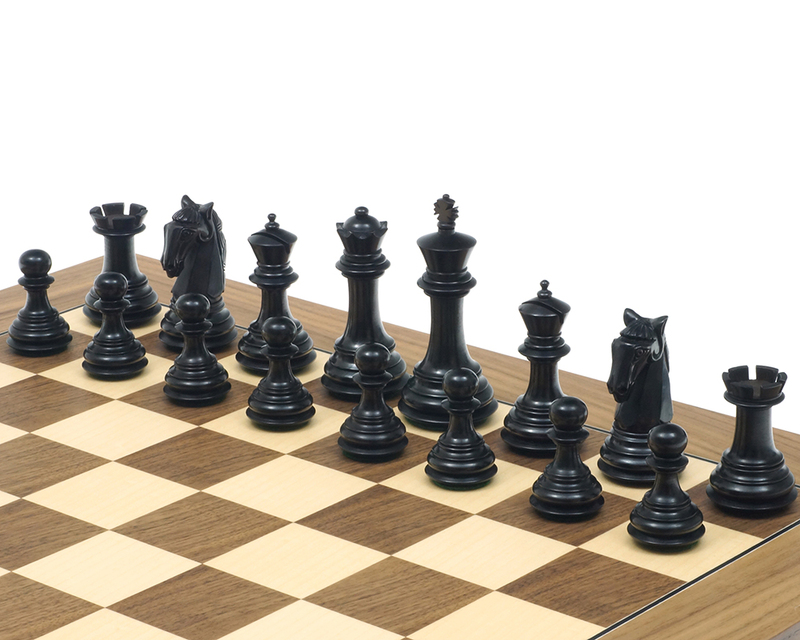 With the knight the opposite has happened, the destructive cavalry replaced, as it is, with an agile, dexterous horseman. 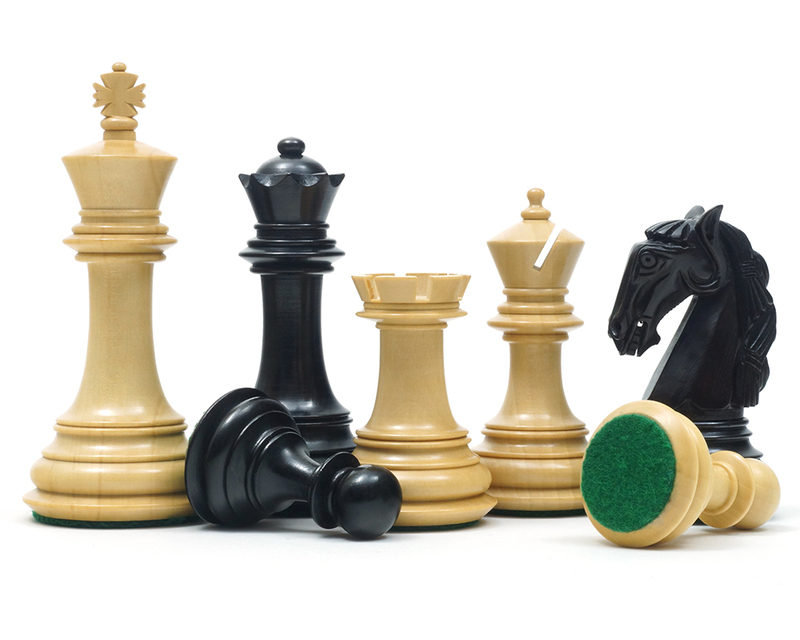 Fine chess pieces that display such character are rarely found at this price and it is with great pride that we are offering the Gambit Chessmen here at Regency Chess. 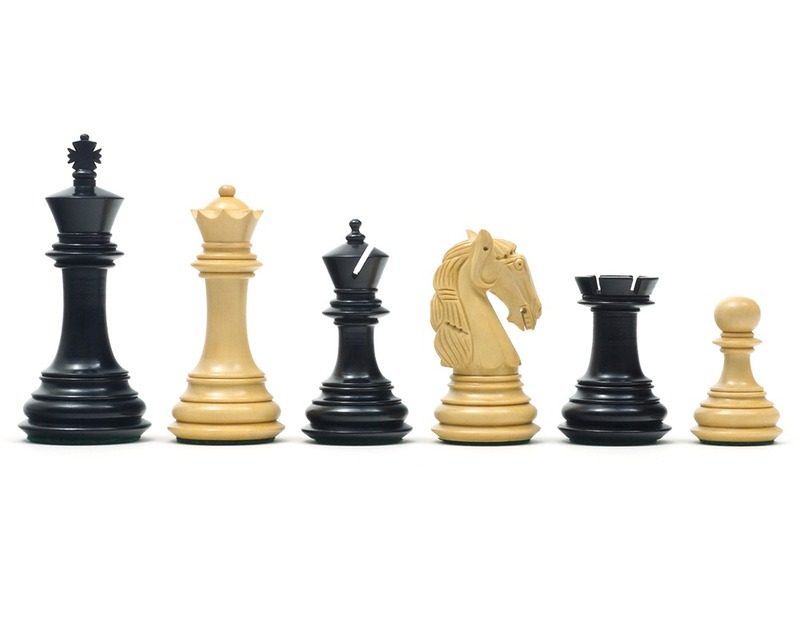 Ornate chess pieces tend to be an acquired taste, but few customers are likely to disagree with the aforementioned virtues of this particular set. 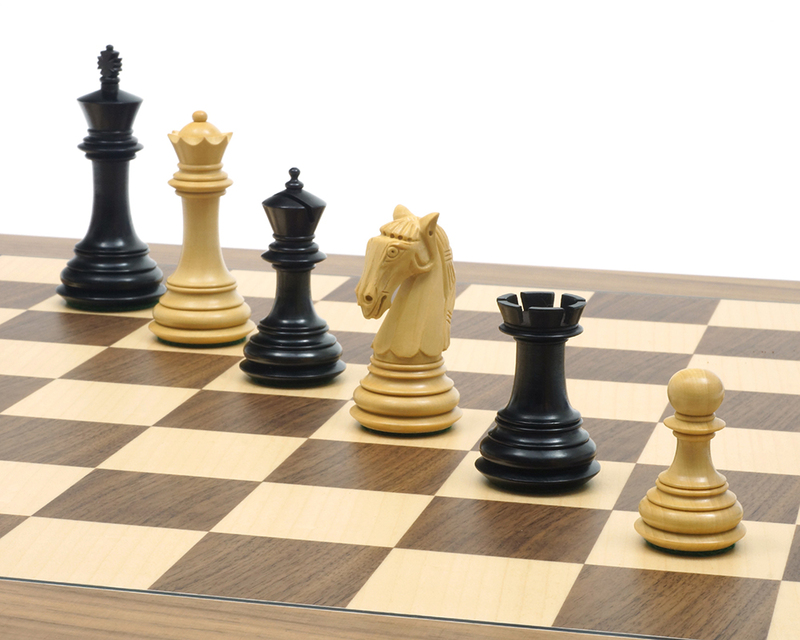 The Gambit Series will fit comfortably onto any board 19 inches (48 cm) or larger.